Salman Khan has made his career playing the macho man-child. He has his antics, eccentricities, and, of course, his (atrocious) dance moves. But, at the end of it all, he never seems to go wrong, with movie after movie further endearing him to his global legion of fans. The fact that he got away with murder wasn't supposed to help his cause, but, as a man-child, the horrors of allegedly running over pavement dwellers seems to have been wiped away with Being Human, Bajrangi Bhaijaan and now Tubelight. “My films are critic-proof. I am telling them now: go give my film minus 100 stars, why just zero. My fans will anyway watch my film and that's my reward,” Salman told Huffington Post, and he could not have been more correct. It is dangerous when an actor knows his audience that well – he can potentially get away with anything. Tubelight is a movie that gets away with the one thing it could have done without – Salman Khan. Upping the ante on his histrionics, Bhai plays the role of Laxman Singh Bisht – a man who is called 'tubelight' by people around him because he is 'slow'. It takes time for the light to turn on upstairs before Laxman can fathom things. He's not macho, he is not cool, and he cannot fight. His brother Bharat (Sohail Khan) serves as his foil. Together, the duo becomes the invincible force that takes on the bullies of Kumaon. Everything is going great till the Chinese come knocking. It is 1962, and India must respond. Bharat goes off with the Kumaon regiment, leaving Laxman alone to stumble through life. The jawans are told that there will be no 'real war' – but, of course, this is far from the truth. Bharat, along with a few other soldiers, is captured by the Chinese army. And hence begins Laxman's fight with destiny to not only bring back his brother but also stop the war. Amid all of this, a mother and son (played by Zhu Zhu and the adorable Matin Rey Tangu) arrive at the little village. They 'look' Chinese. Of course, that is all that the other villagers need to hate them – much like the bigger village that is present-day India. Laxman is guided by a father-figure (Om Puri) to follow Mahatma Gandhi's ideals. Gandhi also makes an appearance in the film, where he tells a teenage Laxman that 'yakeen' (belief/faith) can pull him through anything. The rest of Laxman's life, and the whole story pulls through with this yakeen as Laxman goes from pillar to post, ticking off Gandhi's ideal to-do list so as his brother can come home. The Sino-India war that director Kabir Khan picks for this story (which is actually based on Alejandro Gómez Monteverde's film Little Boy), is this omnipotent force that hovers over Tubelight. It is never directly a part of the narrative, yet it is never absent either. And this is what gives the movie some of its best scenes. One of them being the scene where Laxman comes running to the Army camp to see coffins being off-loaded from trucks. He sees families crying over the wooden boxes with names written across them. He frantically starts looking for a coffin with his brother's name, he is crying, almost hysterical. But what he cannot handle at all are the wails of the families around him. He shuts his ears and finally folds his hands. That is war. It is devastating to the core and is felt most, not by the players themselves, but by those related to them who end up being the collateral damage. Another poignant scene has an injured Bharat asking a fellow soldier to take his shoes so that he can escape. 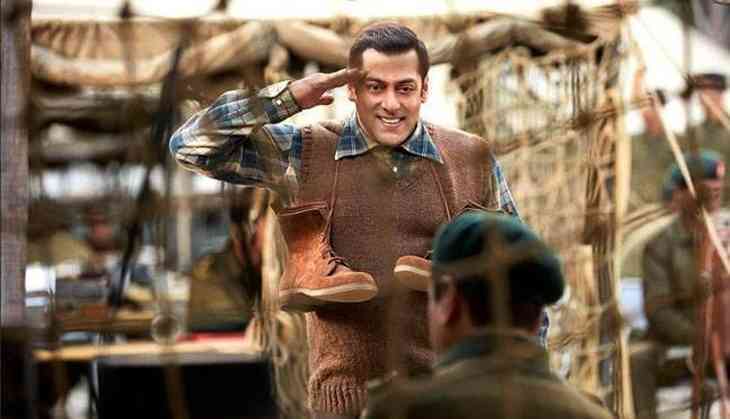 Shoes, one pair that found itself hung jauntily around Salman's neck in some movie promos, Bharat's new Army boots, a new pair Laxman takes for Bharat, have a very clever role to play in Tubelight. Unlike in Bajrangi Bhaijaan, Kabir Khan has not simplified Indo-China relationships to an accord between the civilians. There is no accord. The 'Chinese' in Tubelight are more Indian than most Indians (these days at least!). He has not glorified war either, which is a relief. There are no stunning moments of bravery in combat and no 'Jai Jawan'. What there is, and what gives Tubelight a boost, is the feeling that the men fighting on either side just want the carnage to end. They just want to go home. The point is subtle, it has been nicely made. And, sadly, it will most likely be lost on film-goers. This is one (other) place that Tubelight falls flat. The racism issue. It raises it but does absolutely nothing about it. Laxman sees both mother and son as the enemy. He cycles through the village screaming 'Chini aa gaye', scaring the daylights out of the people who are dealing with the war that is raging just beyond the mountains. Laxman recovers only when he realises that the duo is Indian and also speak Hindi. The villagers take more time. In one scene, Laxman asks the little boy to say 'Bharat Mata ki jai' to show he is an Indian. Laxman says it, the little kid screams it. He then says that he has said it louder than Laxman has, he should be more Indian then? Patriotism gets a tight slap in the face right here. But again, the point will be lost. The fact that Kabir Khan indianises the mother and son to make a case for them in Tubelight is very problematic. It undoes the racism issue completely. A very deft message could have been sent by keeping the 'Chinkie' slang in perspective while pointing out the issues of grouping people as the 'other' based on how they look. Salman's OTT histrionics ruin Tubelight. He gets overshadowed in grit and gravity by almost every actor on the screen, including Matin Ray Tangu and Mohammed Zeeshan Ayyub (who plays the role of Narayan the bully). Matin plays his role with more conviction and ease than all of Salman's expressions put together. And it is a treat to watch Zeeshan Ayyub's character evolve as the movie progresses. Salman is both the bane and the boon for Tubelight. He ruins it with his acting but he is also the main factor that will carry Tubelight to the 100-crore club and above. Not just his movies, but Salman himself is critic-proof. With Salman being the face of this movie, the subtle messages will get lost in the whistling, cheering crowd somewhere. And that is the tragedy of Tubelight. And the other problem with Tubelight? The other problem with Tubelight is its hankering for that happy ending. Had the movie ended 10 minutes earlier without the 'all's-well-that-ends-well' shtick, there would have been an excellent sense of good film-making. But here we understand that Kabir Khan followed the story of Little Boy right to the end. After all, would fans be happy if Bhai ended up sad and lonely? If not over this weekend or the week next, you will when it hits your TV screens. 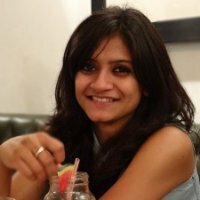 And for those of you who won't, here's our clincher – Tubelight is not a bad movie, Salman Khan just makes a good movie mediocre. Also, there is a cameo you cannot miss because of the actor who plays it. It comes at a crucial juncture in the movie. And, most importantly, the politics, and not the part, is what is very interesting. And this is probably the first time it has happened in Bollywood history. The rating is for the other actors and the plot.